When I was kindly invited to the Press Evening at the opening week of Wicked The Musical UK Tour at the Theatre Royal Plymouth I was so excited. Wicked is my favourite musical so I was extremely looking forward to seeing it at my favourite theatre. I saw Wicked once before at London Apollo Victoria back in summer 2013 and I adored it then. Also I kindly received tickets to see it at the Theatre Royal Plymouth during the same week of the press night for Christmas from my Mum so I saw it twice last week! To put it straight, it was the best production I have ever seen. 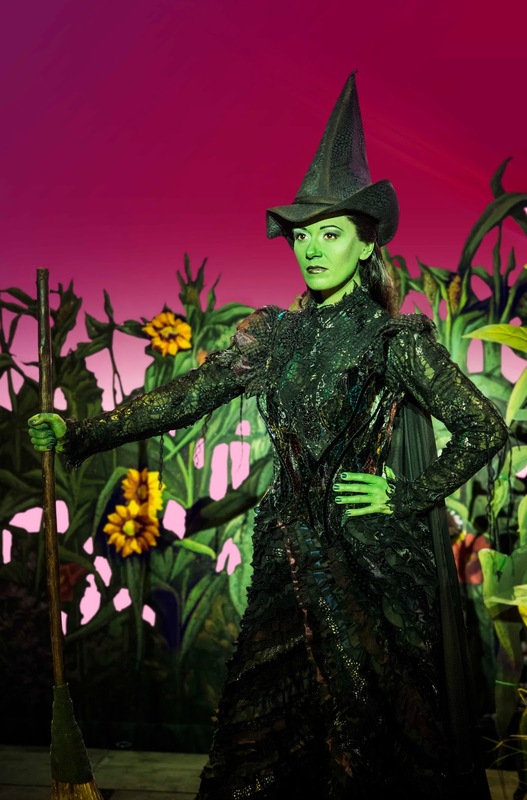 The show is the story of Gregory Maguire's acclaimed 1995 novel, 'Wicked: The Life and Times of the Wicked Witch of the West'- the story of Elphaba, the Wicked Witch of the West. The plot follows the unlikely friendship of Elphaba and Glinda and their untold story through university, working along side and against the Wonderful Wizard of Oz and finding love. The soundtrack is one of my all time favourites, where every song is so beautifully and cleverly written. In addition, the cast members were incredible at singing them. 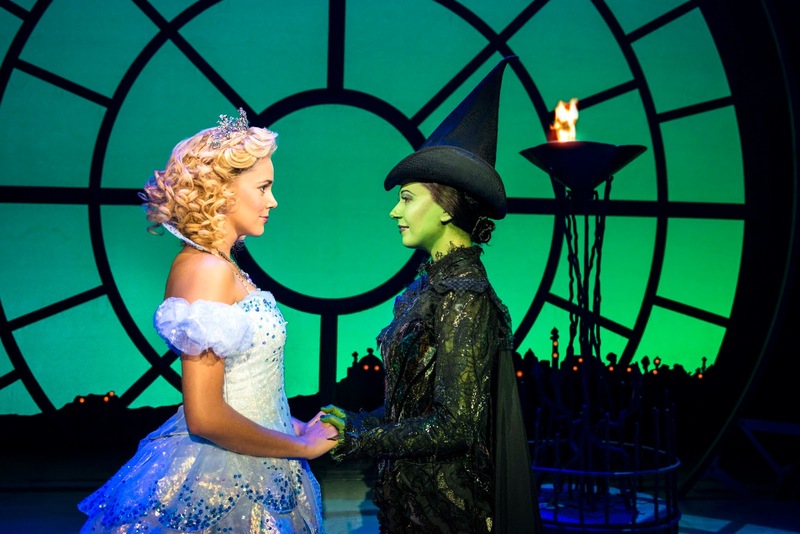 After listening to the original cast of Idina Menzel and Kristen Chenoworth constantly I had very very high expectations but Ashleigh Gray (Elphaba) and Emily Tierney (Glinda - "the GA is silent") were on par with the original stars. Every note was surprisingly perfect; the best part of the show, for me, was Elphaba singing the famous 'Defying Gravity' at the end of Act 1- The belting strong voice from Gray left me with goosebumps up my arms and tears in my eyes. Its not very often I get so touched by a musical, but this one really did it for me. My friend, Elena, who came with me to see the show ( also an avid musical enthusiast) was also blown away by the performance. Alongside the fantastic vocals, the acting and dancing was also superb. They really did hit the nail on the head with the casting for this show- every cast member really engaged with their character and each portrayed them seamlessly. When you enter that auditorium to watch Wicked you get swept away to the Land of Oz for a few hours then you get plonked back on planet Earth when its over; it really is spellbinding. I could sit here and talk about each and every character and cast member for hours but this blog post would be way too long! 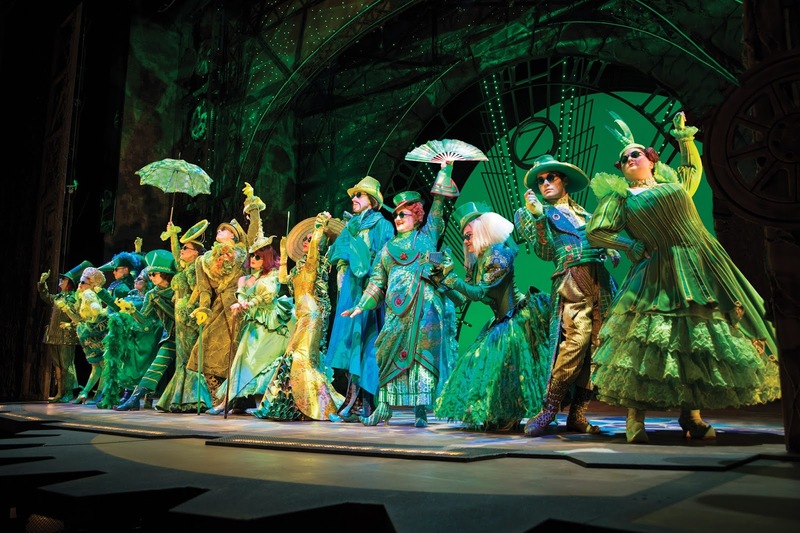 All I can say is, I cannot commend the talent and performance of the Wicked cast enough. Another thing that I wanted to address was the remarkable costumes, props and scenery. Funnily enough I had researched the costume designer, Susan Hilferty, as part of my GCSE Textiles project so I was familiar with her work but its always great to see it in action. Every costume was different with individual personality injected into each dress and suit; Glinda's famous bubble dress consists of 45 petals, where each petal takes 3 days to bead! It really added animation and yet another interesting element to the show. Additionally, the props and scenery were great. When it comes to live theatre I can never get over how intricate everything is- so much hard work behind the scenes goes into it and I think that it is truly amazing. Okay, I'm not going to go on for much longer now (although I could talk about Wicked ALL day!). But overall the show is something I thoroughly recommend everyone, whether you like musicals or not, to go and see. It really is a totally enriching and magical experience to be a part of, even if its just for one evening. Well done to the cast, crew and the wonderful orchestra of course for putting on a marvelous show. I want to go back and watch it again already! I totally went along with the theme and dressed in my favourite emerald green dress! Wicked is touring all across the UK and Ireland so check out their website here to find out if they're coming to a city near you! And of course the show is still running at the Apollo Victoria in London. If you're a Plymouthian, the show is still here for a few days so try and catch it if you can at the Theatre Royal Plymouth! Disclaimer: Thanks to Wicked UK Tour and Theatre Royal Plymouth for inviting me to the Press Night. All opinions and views are completely my own, as always! Photos credited to Wicked The Musical.